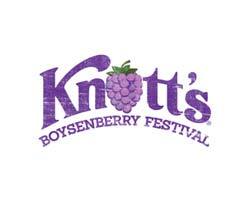 The Knott's Berry Farm Hotel combines comfortable accommodations for both business and leisure. 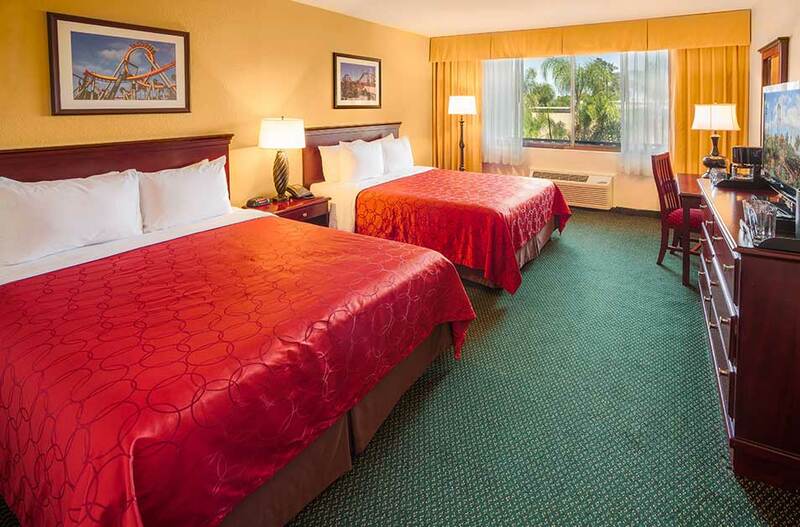 A number of room options are available including a Single Queen, Standard Two Queen, Oversized Two Queen and Single King. Up to three rooms can be connected for a combined maximum occupancy of 12 guests. 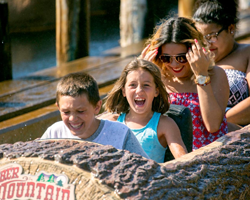 In addition to those room options, the special Camp Snoopy wing offers upgraded accommodations perfect for families. 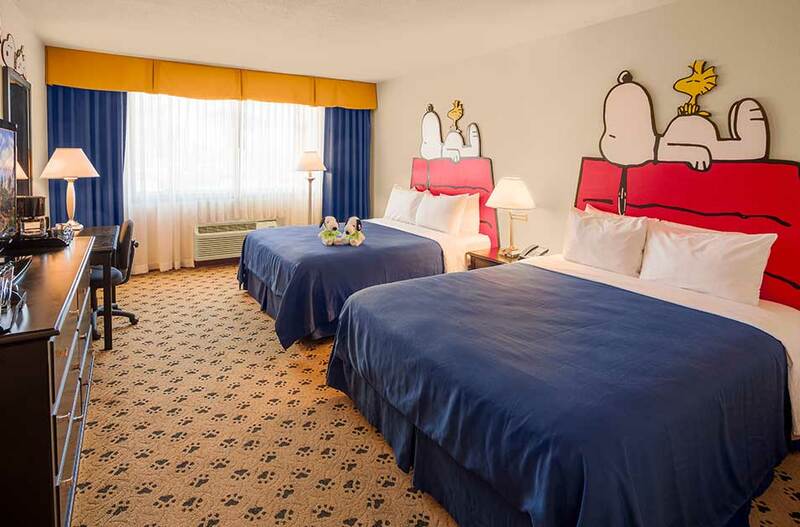 Each Camp Snoopy room features PEANUTS® decorations, a personal visit from Snoopy to tuck children in for the night, and two Snoopy plush dolls to take home with you. 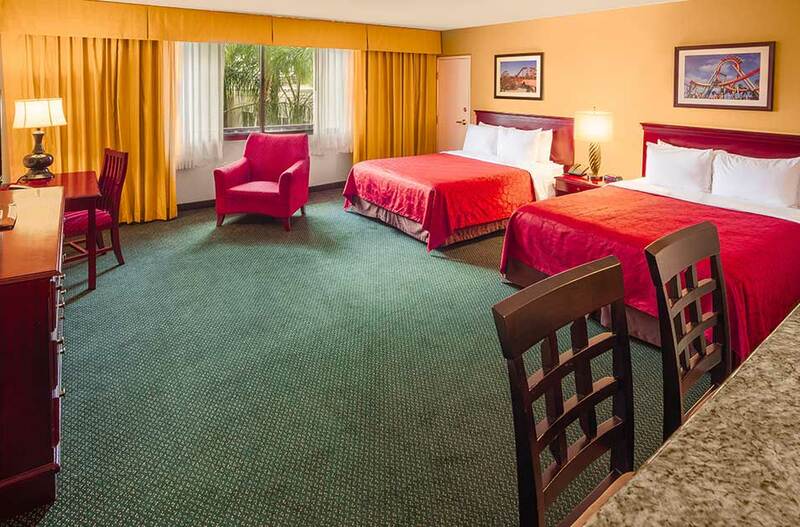 The full-service 320 room hotel features a full-service restaurant, fitness center, pool with children's activity area, lighted sports courts and many other amenities. 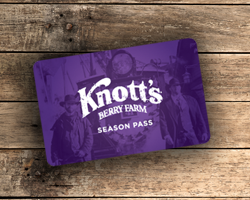 Affordable family vacation packages, including admission to Knott's Berry Farm, are available year-round with special early admission into Knott's Berry Farm during the summer. 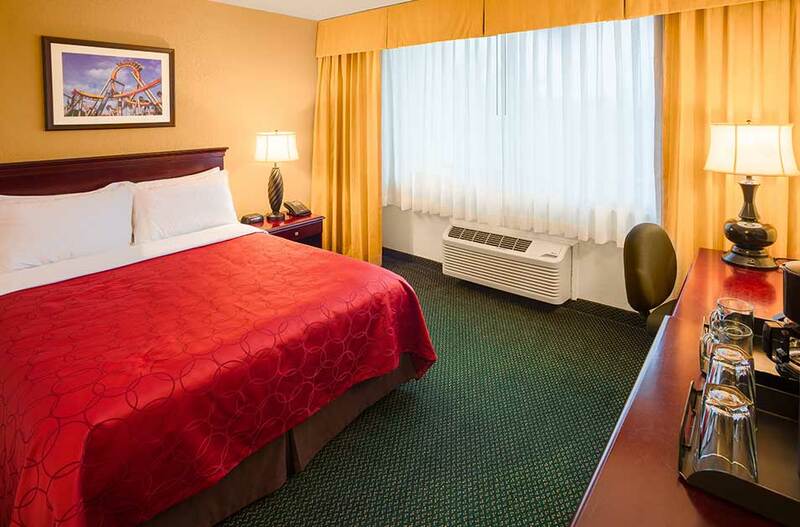 Each Standard Two Queen rooms features two queen-size beds, cable television, wireless internet, an in-room safe, coffee, and coffee maker, iron, and ironing board. A rollaway bed is not available. 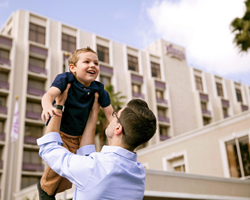 This upgraded room also offers a personal visit from Snoopy between 8:00 PM and 8:30 PM to tuck children in for the night as well as two Snoopy plush dolls to take home with you. Maximum Occupancy: 3. 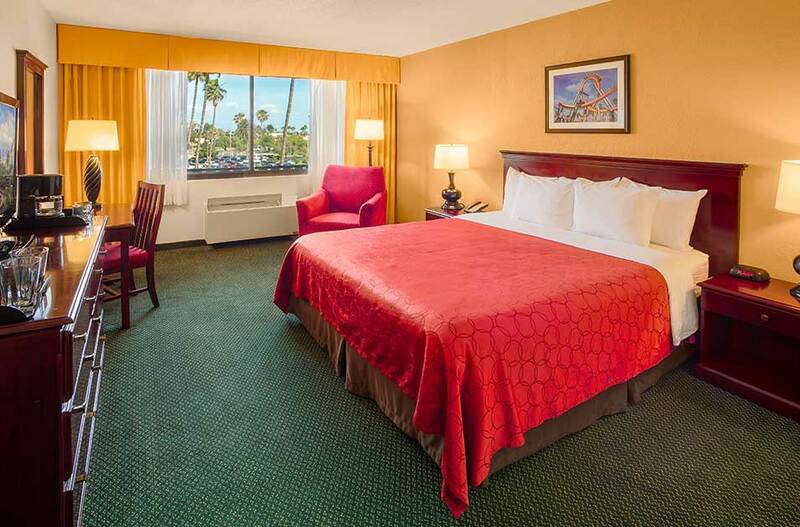 This room features a sleeper chair.